Improve the overall interior design of your living room, dining room, or hallway with this Artistic Weavers Riberalta runner. Contemporary dicor is made simple with this indoor/outdoor piece, made of plush synthetic material. The hand-made construction of this rug makes it high-quality and durable. Upgrade the dicor of your modern home with this geometric patterned blue rug. Akkula Red 2 ft. 6-inch x 8 ft. Indoor/Outdoor Transitional Runner Add this high quality Artistic Weavers Akkula runner to your home for an instant splash of style. Modernly designed with you in mind, this plush synthetic indoor/outdoor rug will be a great addition to your home. Make a lasting style statement with this hand-made rug. 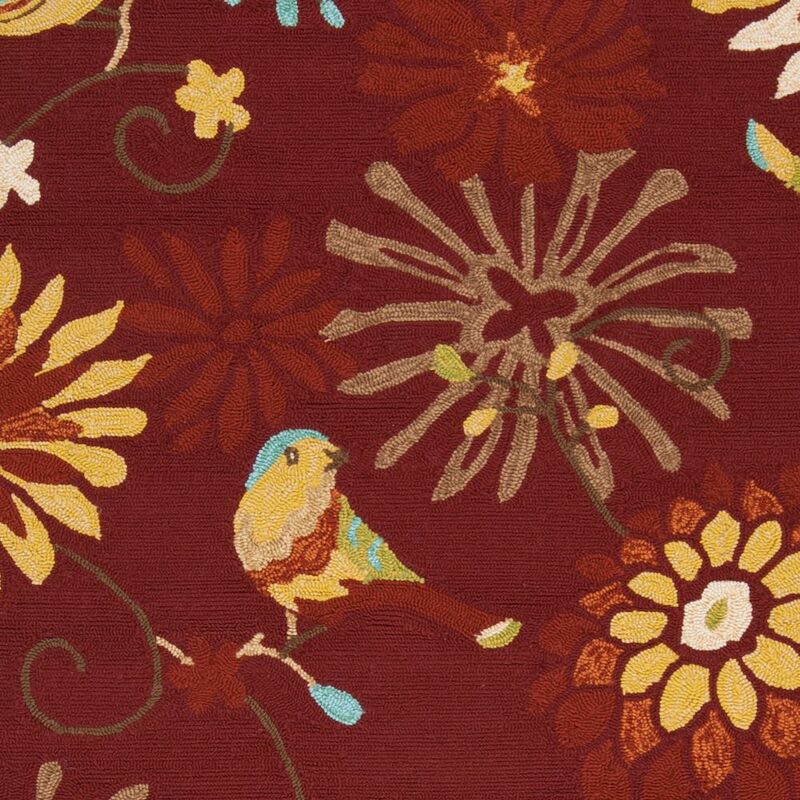 This floral plants patterned red rug makes a bold statement in your hallway, dining room, or even living room.